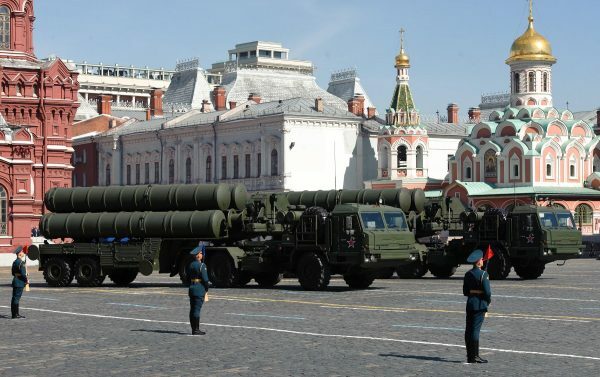 Is an India-Russia S400 missile deal imminent? The head of Russia’s Federal Service for Military-Technical Cooperation (FSMTC) told the local press that Moscow is hoping to sign with India a delivery contract for an advanced air defense system. FSMTC chief Alexander Fomin said that he would like to see the S-400 surface to air missile battery system delivered to India by the end of this year. India and Russia have been in talks for the sale of the weapons system for more than a year. Delhi had hoped to sign a deal during Prime Minister Narendra Modi’s trip to Moscow last December but this failed to materialize. There are conflicting reports whether the deal will be signed this week, however. Indian press quoted an aide to Russian President Vladimir Putin who said that the two countries are expected to sign a delivery agreement on October 15 during the 17th annual India-Russia summit in Goa. But Fomin on Thursday denied that the deal would be signed at the summit, explaining that there were still a number of issues to be resolved by both countries. Russia remains the world’s second biggest seller of arms behind the United States, increasing its share by 37 per cent in 2010-2014. Russian weapons were exported to 56 countries, with India, China and Algeria making for almost 60 per cent of total sales, said the Stockholm International Peace Research Institute (SIPRI) in its 2015 Yearbook released in March last year.